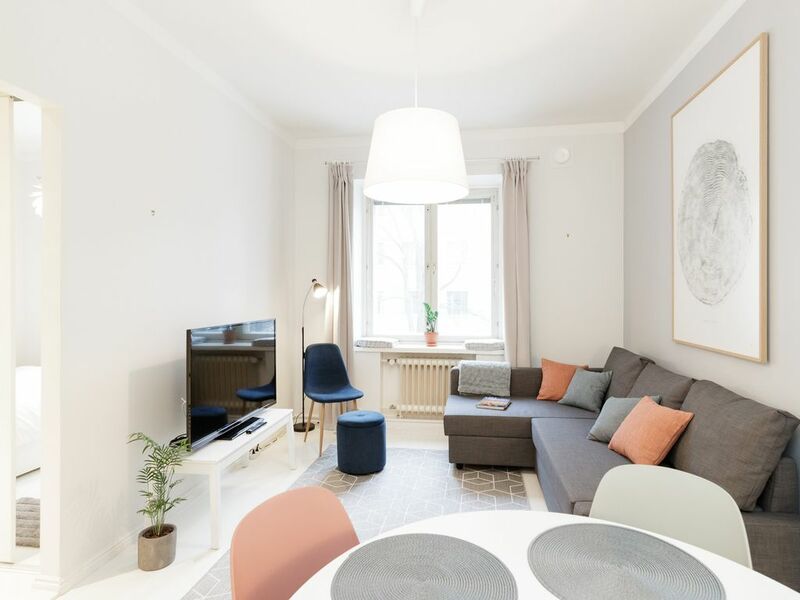 Stay in this beautiful, newly renovated home in the trendiest Harju neighborhood in Helsinki. Located on a peaceful street, 3 mins from Sörnainen metro station, with trains to all over Helsinki (Central station 5 mins by train). Close to hip restaurants, shops & bars. The apartment hosts 4 guests comfortably, 2 in the bedroom & 2 on the comfy living room sofa-bed. Free WiFi, 49’ HD TV, fully equipped kitchen with coffee and tea. Choose this home as your ideal base to explore Helsinki! Finnish nomad, living between Helsinki, Dubai, and Chennai. I have been living out of a suitcase for the past three years, with up to 300 hotel night per year, so I understand the requirements of even the most demanding travelers. Even though I love traveling, Helsinki is always home and is the perfect place to unwind. The city is quaint and peaceful, yet offers a lot of great options for exploring and going out! This property has everything going for it: location, floor plan, style. Me and my husband fell in love with it immediately, and use it as our base when we visit Helsinki. We decorated it in a very simple yet elegant style, to make visitors feel rested and cosy. All the amenities are provided for ultimate convenience. The location is extremely accessible - the metro is right around the corner, yet the hustle of the city is left behind immediately when you enter the street. The apartment will similarly let you rest and unwind after long days of exploring the city!